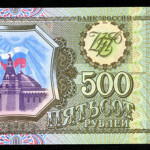 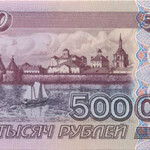 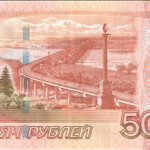 The official currency of Russian Federation is Russian Ruble. 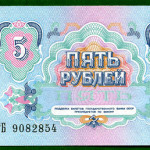 Also, used as a medium of exchange in many former soviet republics and one of the world’s oldest currencies. 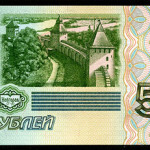 Meanwhile, it appeared in 15th century during so-called Silver Bum. 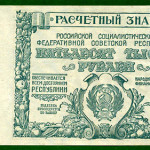 At the time, Russian coins were silver made. 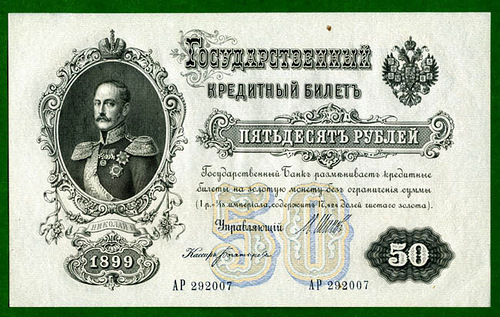 Soaring demand for silver across continental Europe resulted in growth of value of Russian silver coin to a point when they were no longer useful for purchases. 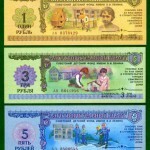 Noteworthy, people started splitting coins in halves. 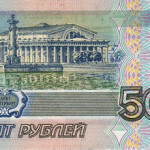 Accordingly, Russian word for “split” or “cut” is ‘rubit” and the half coins became called rubles. 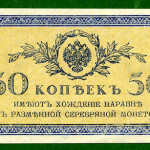 Even though Russian coins no longer come in halves, the name stuck on. 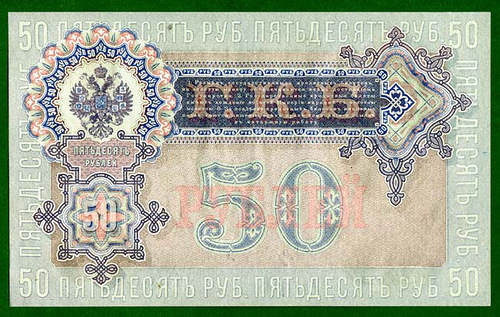 During the czar rule Russian rubles were one of the worlds highly valued currencies as they were backed by serious stockpiles of gold. 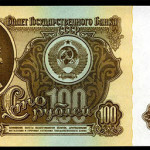 During the Bolshevik revolution, most of that gold was shipped out of Russia, so the Soviet ruble’s did not have much value. 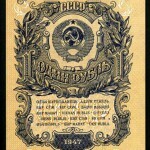 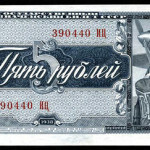 It did not matter anyway as the Soviet rules kept fixed rate of ruble. 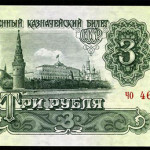 In 1993 Russian government has removed price fixing, but it continues to intervene into currency markets to keep the value of ruble at a lower rate than it actually is to stimulate Russian export producers. 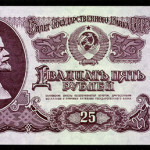 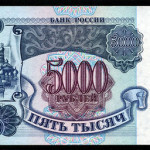 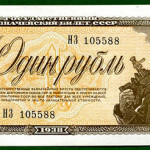 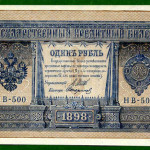 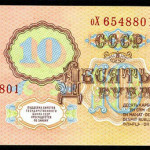 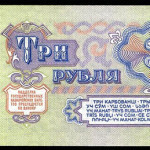 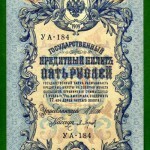 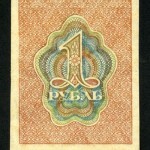 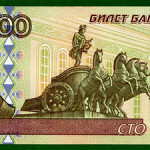 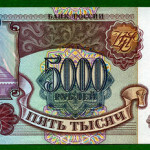 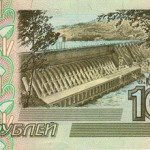 The paper money of the USSR period underwent many emissions and changed its outlook very much. 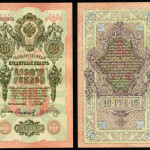 Most of it was printed on white paper and had watermarks, but the format and style of different series varies very much. 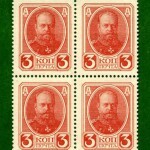 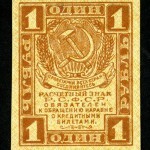 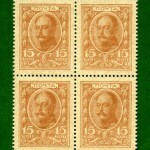 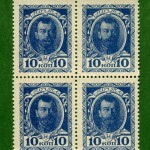 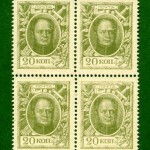 For example, the 1918-1922 series are quite simplistic, while the 1923 one continues the traditions of the Imperial period. 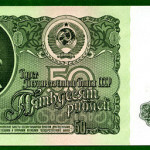 From 1925, the banknotes contained, in addition to the state symbols, pictures of people and their life (the worker and the farmer reading Karl Marx, a seeder, scenes of harvest, etc.). 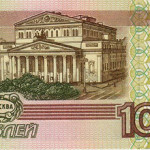 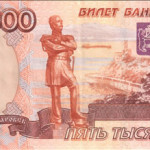 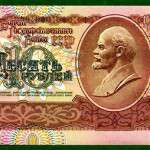 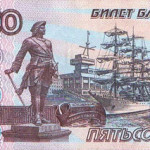 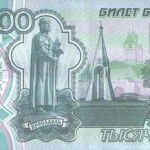 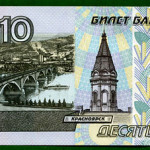 In 1937 for the first time Lenin himself appeared on the notes, and stayed there until 1992. 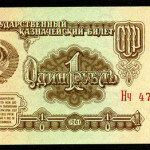 Collapse of the USSR of 1991 led to abandonment of price fixing. 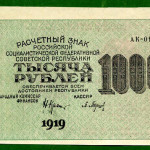 “The shock therapy” resulted in immediate plunge of national currency as former soviet republics continued to print Russian rubles and exchange them for Russian goods creating inflation in Russia and devaluing its currency. 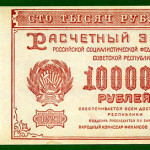 Inflation was as high as 1000% per year! 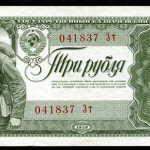 By mid 90s Russian authorities announced that they would no longer allow now formally independent countries to print Russian national currency. 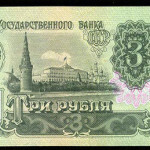 Russian ruble grew steadily until 1998 when the Asian financial crisis moved on to Russia. 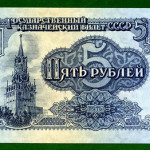 Value of ruble dropped four times overnight and has not changed ever since. 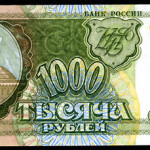 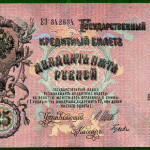 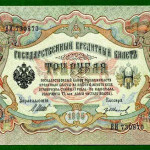 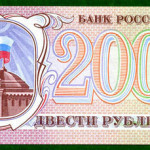 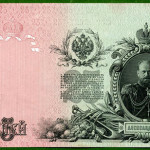 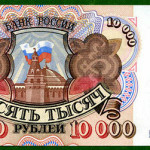 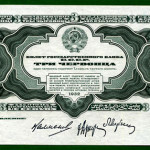 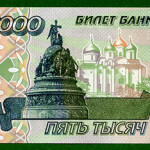 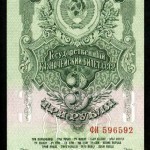 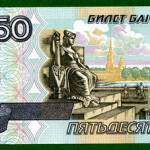 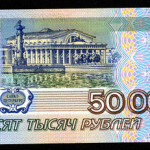 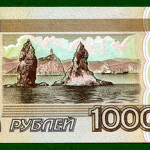 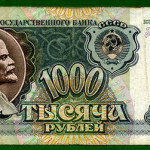 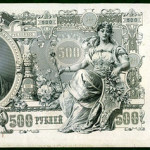 Russian money of the new epoch (after 1992) differ from the previous series by the disappearance of the Lenin portraits (which lasted 55 years). 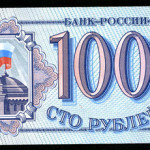 In 1992 another revolution happened in Russia, the single-party system was replaced by a democratic system. 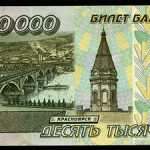 The money started baring pictures of cities. 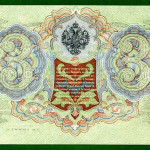 Until 1993 it was Moscow, and starting with 1995 more (Saint-Petersburg, Vladivostok, Novgorod, Krasnoyarsk, Yaroslavl and Archangelsk). 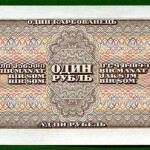 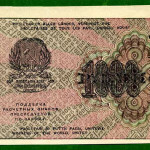 During the devaluation of 1998 the value of the notes lost three zeros, but the note design remained the same.